In the video Mark Meechan repeatedly asks the pug if it wants to 'gas the Jews'. 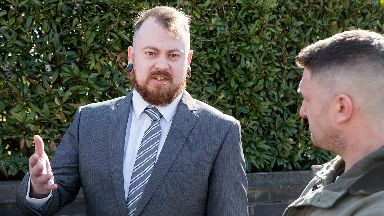 A YouTuber who taught his girlfriend's dog to perform a Nazi salute has been found guilty of posting an offensive message. 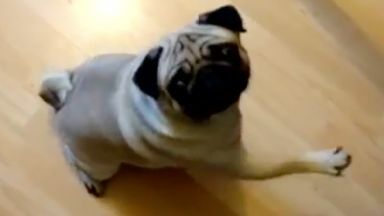 In the video Mark Meechan - known online as Count Dankula - repeatedly asks the pug if it wants to "gas the Jews". It then raises a paw in an imitation of a Nazi salute when Meechan says the words "sieg heil". The video was watched more than three million times and the 30-year-old was arrested in April 2016. Meechan, of Coatbridge, North Lanarkshire, claimed the video was made to annoy his girlfriend and denied any wrongdoing. But on Tuesday at Airdrie Sheriff Court, sheriff Derek O'Carroll described the video as "threatening and grossly offensive", saying: "It is self-evident that the material is anti-semitic." 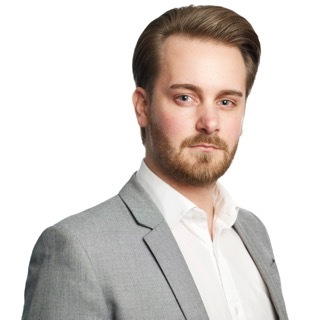 He said Meechan had "not taken any steps to prevent the video being shared publicly". However, defence agent Ross Brown said there was no evidence Meechan had intended to "stir up hatred on religious grounds". He pointed out that in a later video, Meechan said he had "no ill will towards the Jewish community". Mr Brown accused the crown of "promoting the phrase 'gas the Jews' out of context it was intended". He said there was "no evidence" of a complainer in the case, saying Police Scotland was not contacted by anyone who found the video offensive. Former English Defence League leader Tommy Robinson attended court to support Meechan, who described the verdict as a "miscarriage of justice". "I think it's a very, very dark day in regards to freedom of speech and freedom of expression," Meechan said outside court. "The thing that was most worrying is that one of the primary things in any action that is to be considered is things like context and intent, and today context and intent were completely disregarded." Sheriff O'Carroll deferred sentence on Tuesday and Meechan is expected to return to court at a later date.